I first visited Paris in 1975 and my vivid initial impressions are with me yet. At the time, I was serving as a fighter pilot with the Royal Air Force, stationed on the north coast of Scotland where life was dreary, rainy, windy, and boring with no quality wine available and only basic cuisine on offer. My wife and I booked an escape tour to the City of Light. 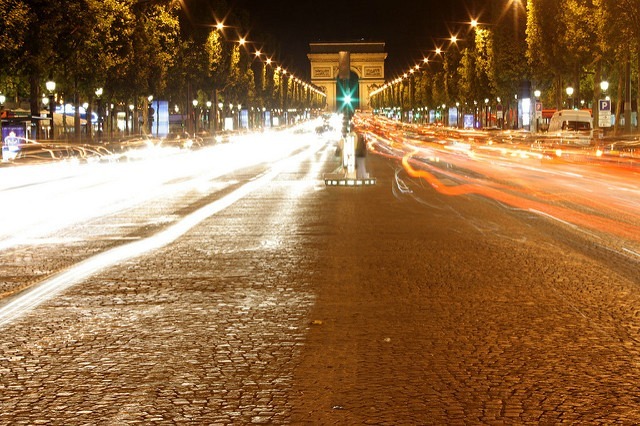 When we arrived on the Champs-Elysées, it was if Dorothy had arrived in Oz from Kansas. Scotland presented black and white tones, but was mostly gray. 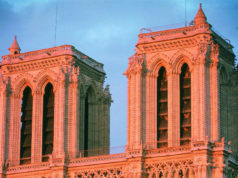 Paris was in living color; the city was vibrant, exciting, exuberant, with many pleasures to sample. The French people were friendly and outgoing. 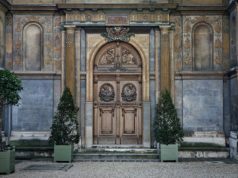 Over the years, I visited Paris many times, losing count at 50 trips, for various professional and private reasons– not that there was much difference between the two roles. What has changed? In the 1970s, the classic buildings were still coated in their war-time grime. Now nearly all have been cleaned, scrubbed, and, if not white and gleaming, exhibit their natural stone hues. Of course additions such as the Pompidou Centre and the Louvre pyramids have been added, but my original impression remains: a city of colors, now even more vivid. Engaged, interesting people are still there, still friendly. I have enjoyed Paris so much over the years, I based my second book, a novel, there. 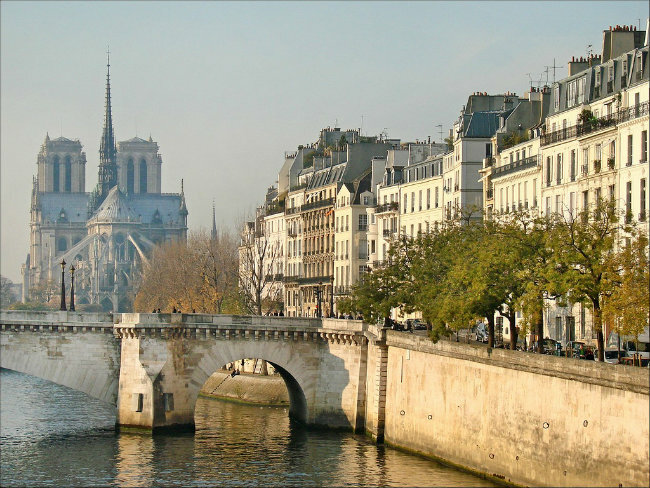 My wife and I just returned from Paris, having rented an apartment on L’île Saint-Louis. Once again we enjoyed strolling the charming streets, in the rain, with clean, shining buildings on either hand with few shades of gray evident. We will be back. 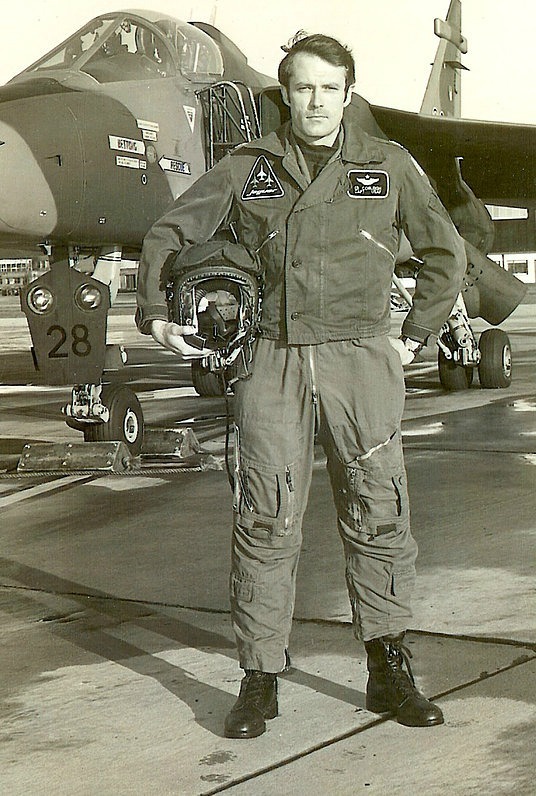 Ed Cobleigh has been a fighter pilot with the U.S. Air Force, U.S. Navy, Royal Air Force, and French Air Force. After his flying career, he was an Air Intelligence Officer, working with the CIA, FBI, and MI6. He has visited 50 countries and France 50 times. 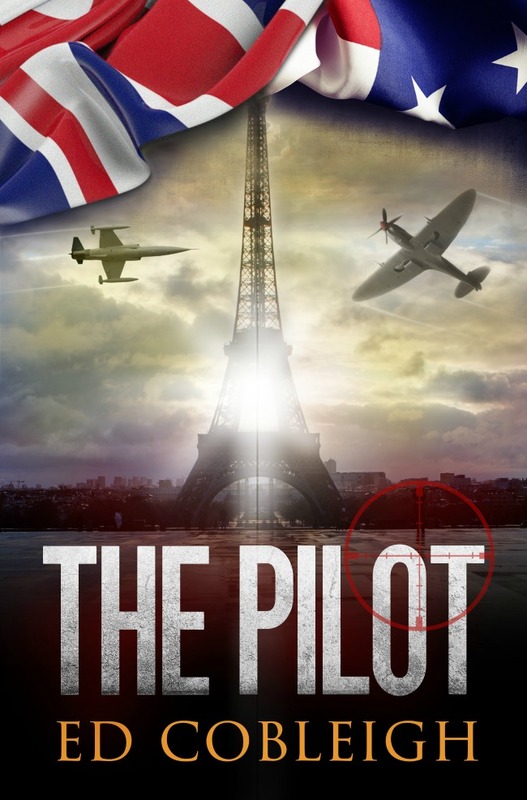 His first book, War for the Hell of It, was an Amazon bestseller and his latest, The Pilot: Fighter Planes and Paris, is set in the City of Light.